Melancholic dark rock shadows on it, the smell of nordic cold, and the sound of scandinavian soul makes Six Inch band to something unforgottable. The finnish group just released their ever first album during the summer. And the summer born disc just made them more engaged with the muse of dark rock style. 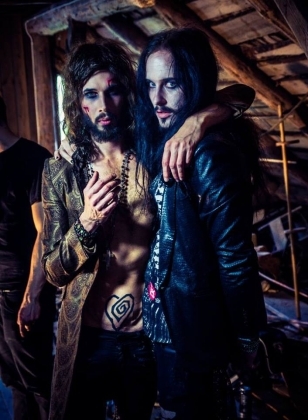 Six Inch signed a contract with Italian Da-records snc in early 2013. 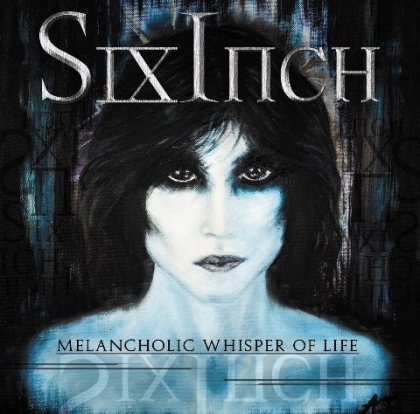 Six Inch Melancholic Whisper Of Life album is out now. And this album is far more sensual and more wild then they showed it up before. Listening their new and now consummate opus is giving a kind of strange, heavy but despite all this, a chance of restful relaxing in our mind and thoughts. Singer Andy was asked about Melancholic Whisper of life. „ It's my first album ever, so I have to be proud of it. a small budget, but we got it to sound pretty good but there is lot of room for improvement of course. The album is the first step to something bigger and fascinating stuff. All these songs are so mysterious as the whole idea of dark rock feeling. All these inspired by the music of Manson, Nightwish, and Danny Elfman in the case of Six Inch. „Its dark, beautiful and ugly unifying genre as form of therapy for myself. Now our music takes baby steps towards adulthood.We are teenagers on the next album and it is gonna be Great one.” – said Andy.